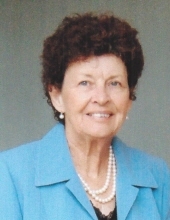 Carolyn Taylor (Kennedy), 81 of Largo, Florida passed away peacefully on April 5, 2019 Morton Plant Hospital. She was born in Glennville, Georgia May 5, 1937 to Robert Carl and Eula Mae Kennedy and lived in Florida for many years. She was a loving mother, sister, grandmother and friend to all, and quickly took to new people in her life. In recent years, she enjoyed walking her loving companion dog, Jax, under the lush canopy of the Harbor Bluffs community, fishing, and exercising at the Morton Plant gym. Family visits were a constant, and she always had a nicely set table for the wonderful meals she and daughter, Terry prepared. She was an avid reader of mysteries and enthusiastically tackled the puzzles each day in the Tampa Bay Times. She was a kind neighbor, assisting those in need and always willing to share or pitch in. Visitation will begin at 2:00 pm, Tuesday, April 9, 2019 at Harmony United Methodist Church. Funeral Services will follow at 3:00 pm at Harmony United Methodist Church with Rev. Ramon Hernandez officiating. Burial will follow in the Church Cemetery. To send flowers or a remembrance gift to the family of Carolyn Kennedy Taylor, please visit our Tribute Store. "Email Address" would like to share the life celebration of Carolyn Kennedy Taylor. Click on the "link" to go to share a favorite memory or leave a condolence message for the family.